06/05/14 SCOTTISH PREMIERSHIP ROSS COUNTY V HIBERNIAN GLOBAL ENERGY STADIUM - DINGWALL Ross County hero Richard Brittain celebrates his side's win at full-time. Former Ross County skipper Richard Brittain believes the Highland derby is a match for any rivalry in Scotland. Brittain played a leading role in one of the most dramatic encounters between County and Caley Jags of all time, when his stoppage time free kick looked to have secured a 3-2 victory for the Staggies in a Scottish Cup tie at Dingwall in December 2012. There was still time yet for Inverness counterpart Richie Foran to force a last-gasp equaliser however, with Inverness winning the replay 2-1. The two sides will meet in just their third Scottish Cup encounter at Victoria Park on Monday and midfielder Brittain, who is now County’s reserve manager, feels history provides plenty reason to relish the tie. Brittain said: “We went from the highest of highs to the lowest of lows, all in the space of 45 seconds. At that stage of the game, we thought the whistle was going to go. We just needed to defend the box. “They are always fantastic games. As a player, it was always the first fixture I looked for on the calendar when we were in the same league. “They are fantastic occasions and the three this year, I feel, have proven they are as good a game as any in Scotland. 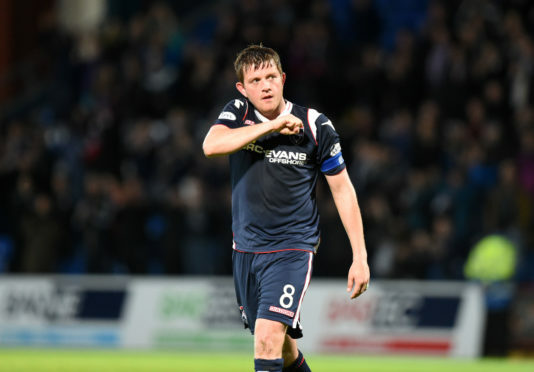 Brittain is among a number of former Staggies players to be back among the coaching staff, with co-managers Stuart Kettlewell and Steven Ferguson having also been popular players for the club. Brittain feels the connection with supporters is important, adding: “It is key for any club to have that progression, that link with people who have that affection for the club and have been associated with it for a while. “It helps as a selling point when bringing a young player into the club. We have two managers who played hundreds of games for the club. “There’s myself, while Jim Kelly, who first came in as Neale Cooper’s assistant, has probably had a longer affinity with the club than us all put together. And there’s others like David Kirkwood and Richard Hastings, who is back now. After being released by the Staggies in 2015, following 258 matches in seven years for the club, Brittain went on to combine a player-manager role at Brora Rangers with a job at housebuilding firm Pat Munro. Brittain admits to having his eyes opened by his first job outwith football, with the 35-year-old keen to impart his experience to young players in his current role. He added: “I’m grateful for the opportunity at Brora because it allowed me to sample being a manager at a demanding club, with a demanding owner. “I only had a season away from the club, before I came back to coach at the club, alongside working for Pat Munro builders. I was site manager, overseeing the job. I wasn’t hands-on lifting materials, more in the office looking over drawings and managing people. “It was a great experience for me because it allowed me to realise and pass on my knowledge to younger players about what a good opportunity they have. “You’ll be out of the house at 7am, with long days not getting back until five or six at night. “It keeps you grounded. I was always in the football bubble. When I left school, I turned full-time and I never sampled life outside football.